One major trend loomed large over the transportation industry this year: tight capacity. A strong economy, increased government regulations (ELDs), and a driver shortage meant that demand was high and supply was constricted for most of the year. Faced with rising transportation and warehousing costs, shippers had to look for solutions to get the job done without breaking the bank. As a result of the tight market and rising costs, 2018 presented the opportunity for shippers to explore alternative transportation options. Limited truck capacity made LTL shipping or intermodal strategies attractive choices for companies who had previously relied on traditional over-the-road truckloads to move their goods. Every year, the transportation market starts to heat up in August or September as retailers prepare for the holiday season. While competition for capacity ordinarily starts to wind down in January, some experts believe 2019 will buck that trend. With Chinese New Year starting on February 5, many importers will be front-loading their shipments from China in January in anticipation of three weeks of factory shutdowns. Additionally, looming tariffs have caused a surge of shipping between the US and China. As a result, the market may remain constricted through January. 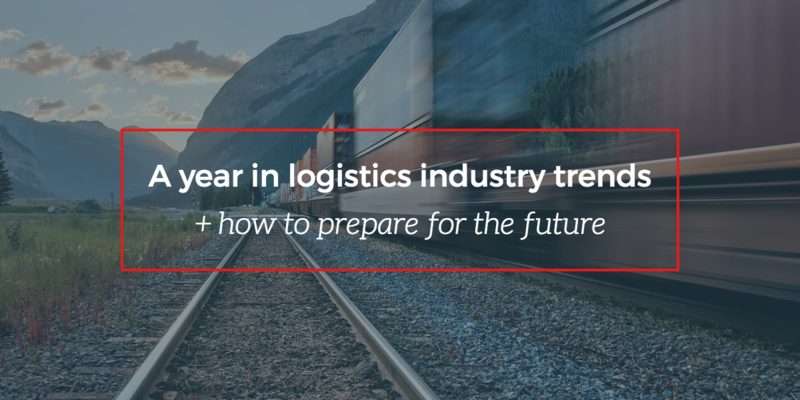 But peak season isn’t the only industry trend that shippers and carriers need to be prepared for. In an industry being constantly reshaped by shifting consumer preferences, technological advances, and security threats, being proactive is key. Cybersecurity in supply chains: are your systems safe? At CAI Logistics, we believe one of the best tools available to shippers is a close, communicative partnership with a trusted third-party logistics partner. With the ability to build strategic solutions that meet shippers’ budgets and schedules, as well as deep industry insight that can help them prepare for the future, an experienced 3PL is an invaluable resource when navigating the complexities of the transportation sector. In the coming year, we can expect exciting developments to continually reshape the logistics space. Promising technological solutions bring the potential for greater visibility, stronger data analytics, and the potential for more semi-autonomous vehicles on the road. Consumer preferences will continue to dictate industry norms, ratcheting up expectations for speed and cost across the transportation sector. However, among all these changes, one thing looks like it’s sticking around: the capacity crunch. Experts caution that we can expect tight capacity and high truck rates to continue for the foreseeable future. This means that logistics professionals will need to continue developing strong relationships with experts who can guide them through these challenges. Want to learn more about how a consultative relationship with an experienced, trustworthy logistics partner can help you prepare for the challenges of the coming year? We’d love to schedule some time to talk about how we can help. Request a free logistics consultation today.